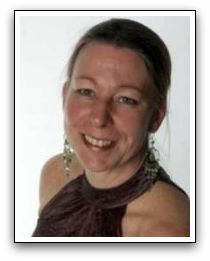 Clare Evans is perhaps best known for the UK edition of Time Management for Dummies. Aside from being a best selling author, she's also a regular contributor to national newspapers, as well as a number of magazines and business publications. In her work as a personal and business coach, Clare works with busy professionals who want to reduce stress, improve organization and enhance their time management skills. Clare, thanks for taking these questions. Would you share a bit of background information about yourself? How did you move into the field of Time Management? For many years I worked in the Corporate world as a Project Manager working with teams around the world in the challenging area of IT, dealing with users, meeting tight deadlines, adjusting plans due to technical – my strengths were planning and organising. When I started my coaching business, I realised that these were skills other people lacked but that I took for granted. I wanted to improve not only my own work life balance but that of others. As the author of Time Management for Dummies, and from your experience as a coach, what are the most common time wasting activities people get sucked into? There are two or three common habits that people tend to have. The first is lack of planning. Not taking time out to look at what they need to get done in a day and then planning in the time to do it. The other habit is lack of focus. They’re so busy just dealing with the day to day that they lose track of what they actually need to be focusing on. Consequently they waste time focusing on either the wrong things or being distracted by things they shouldn’t be focusing on. Another habit is procrastination – common to many of us I’m sure and something that wastes a huge amount of time and results in increasing stress the more they put things off. Then of course there’s email, the internet and social media which can be another great source of wasted time – again due to lack of focus. What effective traits or habits do successful individuals, companies and organizations seem to have developed when it comes to managing time? The converse of bad time habits: planning – successful people will not only have clearly defined goals but will take time to plan and prioritise their activities. They will also be focused and single-minded in what they want to achieve and how they go about it. They also understand the benefit of learning and development in getting what they want – both of themselves and other people.They have a team they can trust to support them and delegate to. Recognise your strengths and weaknesses, improve where you need to and get others to fill in the gaps. You must be a busy person yourself. What systems and tools do you use to organize your own time? I plan my time every day and I regularly review my key goals to keep myself on track. I’m a great user of checklists and worksheets. They help me to stay focused and I can track my progress and results each day. They don’t suit everyone but I’m happy to share strategies with my clients. A lot of people claim that time management stifles creativity and spontaneity. What's your take on this? Not at all – rigid systems and processes don’t suit everyone and we all need to allow time for creativity and spontaneity. I believe that good time habits need to flexible within a framework that allows for increased organisation and productivity, while allowing people to work with their own creativity. Many people would say Time Management for Dummies applies to them. What steps would you recommend they take first? Make sure you’ve written down your goals – what do you want to achieve this year and beyond? If you run your own business make sure you have a business plan. Take a few minutes each day to plan what you want to achieve and schedule it in. When you have too much to do – prioritise your tasks. Write down everything you need to do and then sort it in order of priority. Make sure you’re focusing on the important and not wasting time on tasks that won’t help you achieve your goals. People who understand how precious time is will be more likely to practice effective personal management than people that don't. In your opinion, what's the best way to help more people appreciate and value their days, hours and minutes? You need to think about what’s important in your life. How effectively you use your time is about the choices you make each and every day. We all have the same amount of time in our day, so make sure you use it to the best effect. What do you need or want and how are you going to make better use of your time in order to achieve it? Look at all the different aspects – work, money, family, friends, personal development, your personal relationship and fun. Make sure you spend time on all of them and get the right balance. To learn more, visit Clare's website.